I wrote this in the late 1990s and still love it. The characters formed the basis for my unpublished novel. It appeared in Lighthouse Digest magazine around 1997 and in the Michigan Authors Syndicate’s newly-published anthology Bald Eagle Stew. It’s a fun little story about a family at Christmas and a father’s odd way of teaching his kids a lesson about what’s really important. Now Christmas could really begin. You may not believe what I just said when I tell you everything that went before. So I’ll say it again. Papa and Mother started the observance by venturing out early in December and cutting down a tree. Then they put it up in a corner of the tourist cottage we rented in Port Clare and bedecked it with the loveliest decorations a seven-year-old boy’s eyes could take. There were bells and balls and beads, a stern-looking policeman, and a lighthouse. And there were candles, which Papa would light that night in the same careful way he always lit the wick at the Black Island Lighthouse. Gifts were finally under the tree, and we were assured a red-coated man with a beard would bring us more later that night. The air that night was full of the smell of vanilla and roasting apples. Every sense told us it was Christmas, that snowy Christmas Eve 1928. But it really wasn’t Christmas until Baby Jesus arrived. Baby Jesus was in a box from Sears Roebuck, as were the wise men, shepherds, angel, camel, donkey, lamb, and Mary and Joseph. Best of all, though, there was Baby Jesus, whom we would place in a manger that night beneath the tree along with the rest of his entourage. Or so we were told. All we really knew for certain was there was a box from Sears Roebuck and Co. that supposedly contained those things. The ad in the catalogue said they did, and Sears never had failed us yet. The year before in St. Louis, we’d have known for sure. There we had decorations Mother and Papa always had, along with the same nativity scene and the same everything. But we left all that behind in May, when we took the train north to where a train couldn’t go farther north in Wisconsin without sinking into Lake Superior. In Port Clare, Papa met us and took us on a boat through the twenty-two Majestic Islands to Black Island, the northernmost island in Wisconsin. There, he’d just been named assistant keeper of the island’s lighthouse. Mother ordered everything new from the catalogue that summer at the same time she ordered our gifts. We got the boxes in October, about a month after Mother and Abbie and I left the island to move into the tourist cottage in Port Clare so we could go to school. Papa came over at the start of December, after ice and the storms made Lake Superior impassable and ended the shipping season, along with any need for lighthouse keepers and their assistants. As Christmas approached, Papa and Mother kept the boxes from Sears in a closet in our cottage and added to it with boxes presumably from local stores. The presence of the treasure trove so close seemed unbearable in the weeks before Christmas. But we didn’t even think of asking for a look. We knew what the answer would be. Finally, Papa and Mother took out the packages containing the ornaments and arranged them on the tree. And when supper was finished on Christmas Eve, and the last dish was put away, we knew it wouldn’t be long. First, we gathered around the tree for the candle lighting ceremony. The glow from those candles gave the tree a loveliness electric lights never give, without any of the tangles and searching for burnt-out bulbs. But it still didn’t mean Christmas was here. That was in the box from Sears Roebuck and Co. Finally, Papa brought out his pocket knife and carefully cut through the tape. He opened the box and pushed aside the packing material. Then he found what he was seeking, wrapped in paper. One by one, he distributed the pieces: the wise men, the shepherds, angel, camel, donkey, lamb and Mary and Joseph. Now everything was under the tree except for Baby Jesus and his manger. Papa reached in for Baby Jesus, pulled Him out and set him aside. Then he reached in, felt around that box a final time and made a solemn announcement. “The manger isn’t here!” he said, sounding somewhat startled. “Where will we put Baby Jesus?” Abbie asked. “Can we open our presents now?” I asked. Right then, Mother, Abbie, and I were ready to put Baby Jesus under the tree and get on with things. I would have been happy to give him my pillow. But Papa had something else in mind. He stood up, walked to the closet and put on his coat, hat, scarf, boots, and gloves as fast as anyone could put on a coat, hat, scarf, boots and gloves designed to withstand winter in the far north of Wisconsin. Then he grabbed his flashlight, walked out the door and shut, but not before a good supply of blowing snow filled the room. We sat motionless, not knowing what to do. It seemed we were still for an hour. 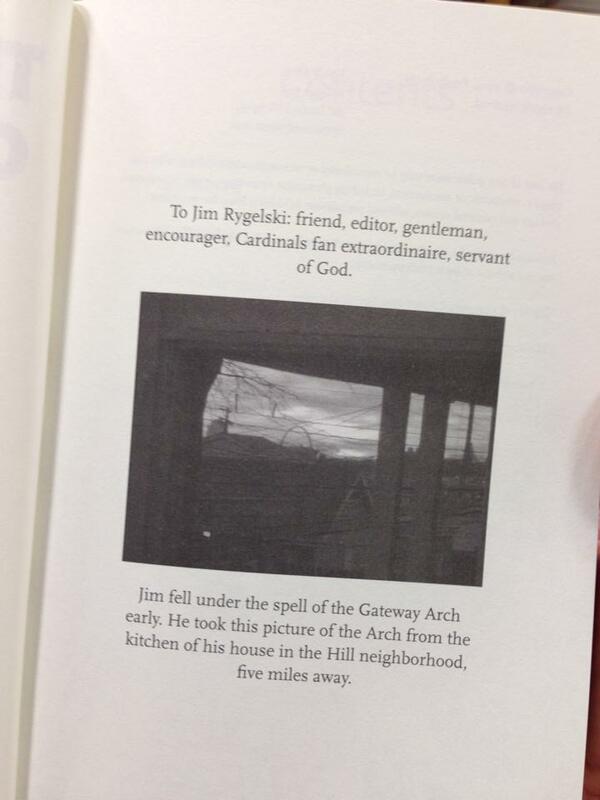 But the clock said only twenty minutes had passed when Papa came back into the house, holding something in his hand. “I have just the thing,” he said excitedly, as he took off his gloves, boots, scarf, hat, and coat in just the opposite way he had put them on. After carefully putting them away, he brought a sack into the living room. All of us were full of anticipation when he reached inside the bag and pulled out a big tin can with the words “TOMATOES” on the outside. Inside, there was a bit of still-slightly-frozen red stuff. “None of the stores were open downtown, so I got this in the garbage can behind Anna Swanson’s Downtown Restaurant!” Papa exclaimed. “Give me that!” Mother said, grabbing it from Papa. Then she marched to the kitchen, washed it, returned to the living room, and handed it back to him. “Samuel Clemens Brown! Half of the year, you abandoned your children at this time of night to go up to your light. Why on this night do you walk out into a snowstorm and come back twenty minutes later with a –“ She paused. 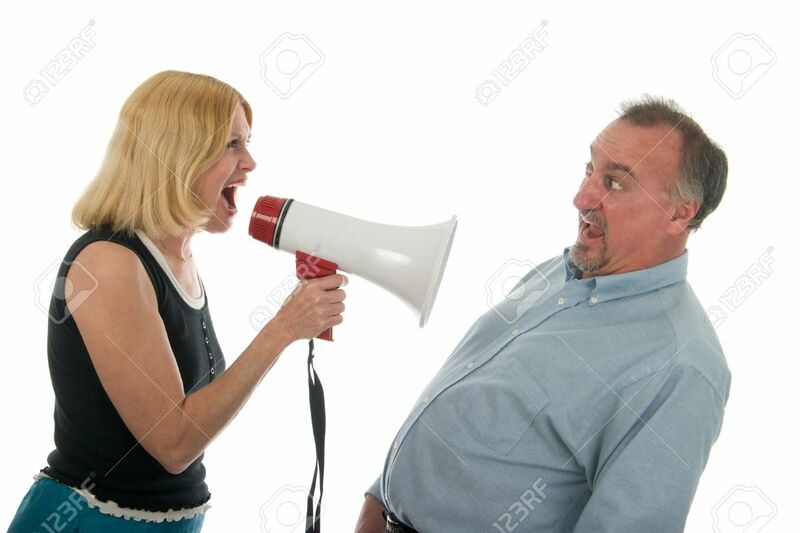 “With a tin can?” She made the pronouncement in the tone she reserved for those times when she really wanted an answer. “Because I had to find a proper home for Baby Jesus,” said Papa, looking first into Mother’s eyes and then into Abbie’s and mine. When Papa was done, he placed the tin can on its side under the tree and carefully put Jesus inside. Then he said a prayer thanking God for sending His Son to die in our place, and we all sang a chorus of Silent Night. Finally, we could open the presents our parents left for us. Late that night, when we were quiet in our beds, we heard someone coming up the steps and then into the house. It sounded like Mr. Gundersen, the fisherman, but we knew who it really was. The next morning, we arose to find more presents left by the visitor from the far north and opened them after Mother and Papa gave permission. After church, we tried out our matching gifts. The ice skates from Santa fit perfectly. 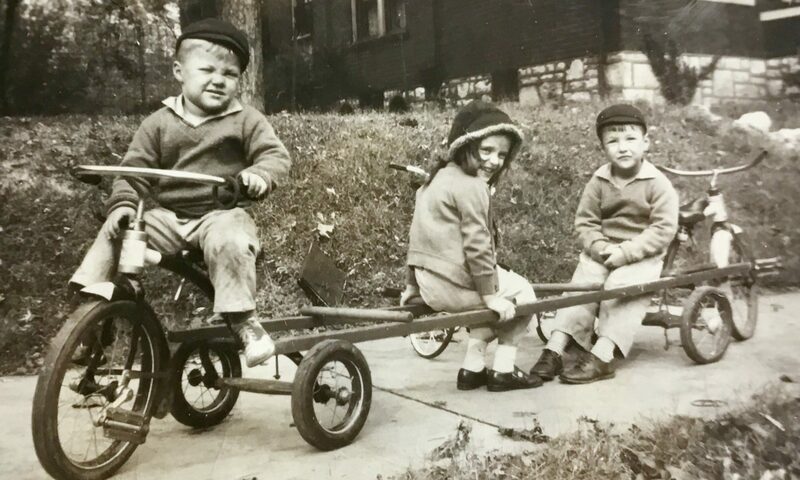 The Flying Arrow Steering Sleds looked like the one in the Sears catalogue. Soon, we were out the door with our sleds and caught up the Joey Gundersen, the fisherman’s son, and Molly Olson, the daughter of the Keeper of the Marigold Island Lighthouse. They also got the same kinds of sleds from Santa, along with the same kind of ice skates! When we got too cold to use the sleds, we came inside to try out the gifts Mother and Papa gave us: Abbie’s Schoenhut’s Humpty Dumpty Circus and my model train set. As spread out as we were in the living room, Papa had to squeeze close to work on the biggest gift of all – a Six Tube Silvertone Radio Receiver. In the kitchen, Mother was preparing Christmas dinner, which she would serve on her new china and silverware set. Best of all, though, there was Baby Jesus, observing it all from the throne that once held peeled tomatoes. On New Year’s Day, the tree came down, and all the decorations were packed away carefully in boxes. Papa himself supervised the packing of the nativity scene, complete with tin can for Baby Jesus. I’ve thought a lot about that first Christmas in Port Clare. Strange, I always thought, that Papa never sent that letter of complaint to Sears. 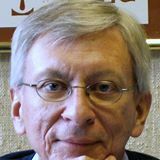 I got that way when my friend and co-writer Malcolm Magee included me among the members of the Michigan Authors Syndicate who contributed to the newly anthology, Bald Eagle Stew. My contributions include a piece about a job seeker who takes solace in The Most Useful Word in the World, a lighthouse keeper and his family at Christmas and a boy who wonders if his mirror image is in a passing boat. 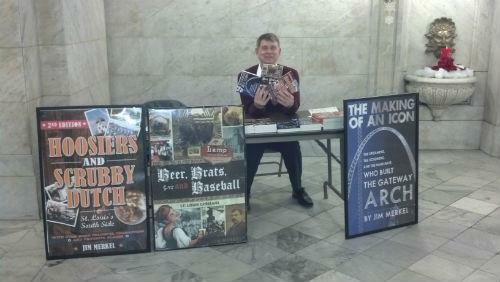 This has been an awesome day of selling and signing my books at City Hall. I broke all expectations for book sales. 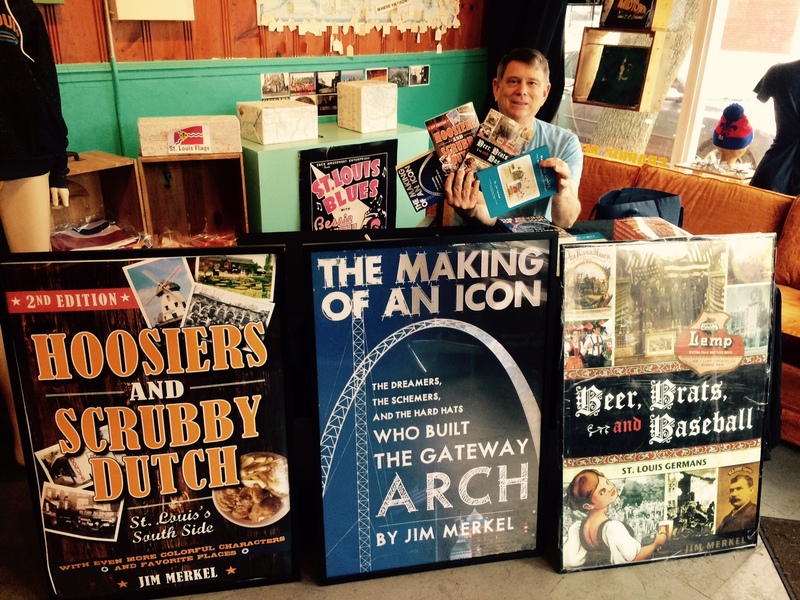 The awesomer conclusion will be when I deliver eight copies of Beer, Brats, and Baseball: St. Louis Germans and one copy of Hoosiers and Scrubby Dutch: St. Louis’s South Side tonight wearing a Santa hat and lederhosen. 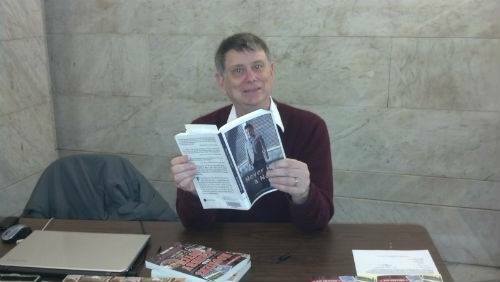 I’m having fun selling and signing my books today in the City Hall Rotunda. Catherine Smentkowski, my big source at City Hall, took these pictures. The three books I’m holding in one picture are my three books (of course!) The one book I’m holding in the other picture is Kevin Killeen’s classic about life in Webster Groves in the 1960s, Never Hug a Nun. I’m reading it in the moments I’m not selling.